Aubry Smith has become one of my favorite young writers. I first encountered her writing in this post, which leapt to the top of the charts, stayed there for 9 months, and by the end was played on every station, from pop to country to easy listening. Her writing is honest, insightful, often funny, and, as is the case with this last post she wrote, moving. I asked her to write a post for this final week of the blog. About the author: Aubry Smith writes about theology-in-real-life at aubrysmith.com. An Arkansas native (the shoe-wearing kind), she now lives in Raleigh with her husband, Brady, and their two energetic sons Breckon and Kian. You can find her on Twitter at @AubryGSmith. Books have been my friends as long as I can remember. I call them “friends” because I sense a very real relationship with many of them. They give new ideas, and I debate with them, I go to them as a refuge when I’m tired or lonely, I laugh with them. I can look at a book and tell you where I was when I read (met) it. As an ISTJ, the key to my life has always been information - how others act, how I should act, how the world works, what stories I should know. Books provide this information in an efficient way for me. So when I grew into my faith and uncovered the path of discipleship, I was happy to discover that the path seemed laden with books. Want to know about God? Read the Bible. Want to know how to read your Bible? Go to a “Bible study,” where you will probably read another book about the Bible. Or go to Bible college to read large stacks of books about the Bible. Go to a “Bible-believing” church, where the main focus is on the exposition of Scripture. 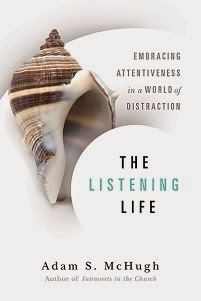 This book-based life fed my introverted, information-seeking soul. And so somewhere early on, I learned that knowing more information about God meant that a person was more spiritually mature. I read more books on that quest, thinking that my deep-and-wide reading made me wiser, godlier. There is truth to all of this, of course. Reading the writings of those wiser than ourselves, those who have lived differently and offer another perspective – to me, this is like being friends with the cream of the crop. I’ve avoided some measure of youthful foolishness because of these mentors I’ve never met. God administers a kind of grace through books, especially to those of us who are worn out by face-to-face interaction with people. 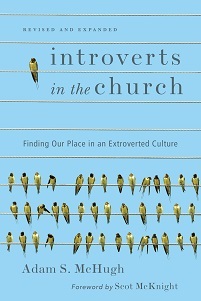 But even for introverts, is a solely book-based discipleship enough? Last year, I decided that I needed to learn to pray more deeply, more fervently. So – you guessed it – I got a book. Richard Foster’s book Prayer: Finding the Heart’s True Home told me something unexpected. To learn how to pray, he writes, you must… pray. It doesn’t sound so profound now that I’ve written it out. But in this simple statement, Foster reconstructed my entire framework for how I am to grow as a Christian: knowing and doing. In a word, it’s incarnational. When God wanted to reveal Himself to humanity, He walked in a Garden, He spoke in a bush ablaze, He thundered from the mountain. His people pushed away – sewing together fig leaves and nudging Moses to the front: “Speak to God for us!” And so began a tradition of mediators: Moses and Joshua, the prophets and priests and judges. The Law, read aloud so that they would remember His words. A scroll. A book. And then – the culmination of all His words – the Word made flesh. Jesus took the words of the Law off the flat page and lived righteousness that fulfilled, and even surpassed, the Law. He scooped up ancient commands in his hands and then touched lepers and befriended tax collectors. Jesus was the Book-turned-Real-Thing. The irony in all my reading to become wise is that I’ve become quite snobby about my knowledge. I scoff inwardly when people say trite or incorrect things about prayer – but the reality is, my knowledge about prayer from books is weak compared to their knowledge gained by calloused knees. I roll my eyes when I hear cheap 30-second evangelism techniques, but these people are sharing Jesus – however sloppily – with those who need the salve of the Gospel on their wounded lives. They are incarnating the commands of Scripture, whereas I am only speculating about them, turning them over and noticing all the nuances without putting them on. My introversion – a gift, I know now – has often caused me to err on the side of extreme caution in my actions. I want to know everything there is to know before I do it. I want to pick it up, examine it from every angle, read what Jesus and the Church Fathers and N.T. Wright say about all of it. And by that time, my beaten neighbor has dragged himself off the road to die in the sagebrush. My life has been made rich through reading, and there is often wisdom in being quick to think and slow to act as introverts do. But I am praying for the ability to incarnate those written words, a little more quickly and wisely, just as my Jesus has done.